Do you want to own a piece of GCHS history? Missing a yearbook – or never bought one when you graduated and wished you had? 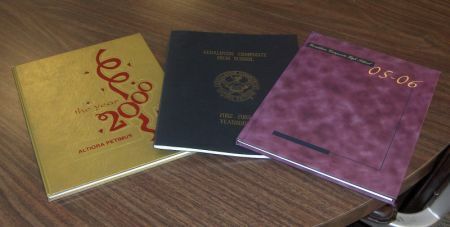 Now is your chance as the school clears out old stocks of yearbooks from the following years: 1991, 1992, 1998, 1999, 2000, 2002, 2005. Yearbooks are available for only $2.00/each on a first-come, first-serve basis. All proceeds will support the GCHS Library. For more information or to make a purchase, please see Mrs. Koning in the library.